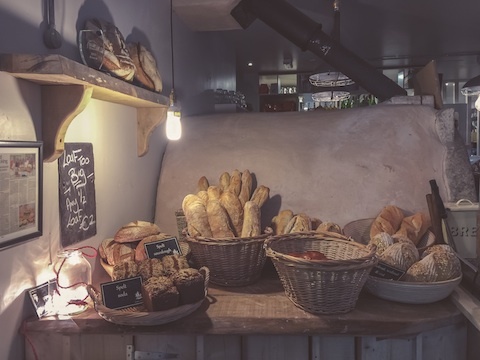 Everybody smells them first – the aroma of bread fresh from the oven never leaves them. It’s weird everybody calls us the triplets. I don’t look anything like them; I don’t smell the way they do. I’d love to be their sister, bread-scented, bag stuffed with baked goods. Unlike the twins, though, I like spending time in the bakery. I help their mother clean after school, when the last of the day’s rolls have gone into the shop. Not that rolls make me smell like them – rolls aren’t real bread. But it’s okay, I’m used to making do with second best. Beautifully observed – I like the way you’ve fleshed out the character in few words, giving them a sense of belonging from the outside, whilst not really belonging. Very clever. Such an engaging story. Artful like making bread. And using bread as a metaphor for how one feels about one’s place in life. Fantastic. Well, yes, and sad. Thank you! Thank you! For me, the smell of warm bread is so evocative of home, of comfort. I think bread is one of those things you can never smell too much of. I used to live above a bakery and the smell in the morning never got too much… Thanks, Jessie!